There are three things that define how we are going to act henceforth. First is the loss of Guinarona’s century old image of San Pascual Baylon in June 2010, which, from the looks of it, will never be recovered. Second is the aftermath of Super Typhoon Haiyan, which, even if only a happenstance, we take to mean as a retribution to the precious image’s loss. Third are the three apparitions of San Pascual Baylon, the latest being on June 21, 2014, coincidentally the summer solstice. Which we take to mean starting over, and that includes acquiring a new San Pascual image and building a new shrine or cathedral in Guinarona. Therefore, we are writing to enlist your help, as part of the community of San Pascual devotees, by way of donating your services and cash or materials for this construction. Here are the project’s composites. 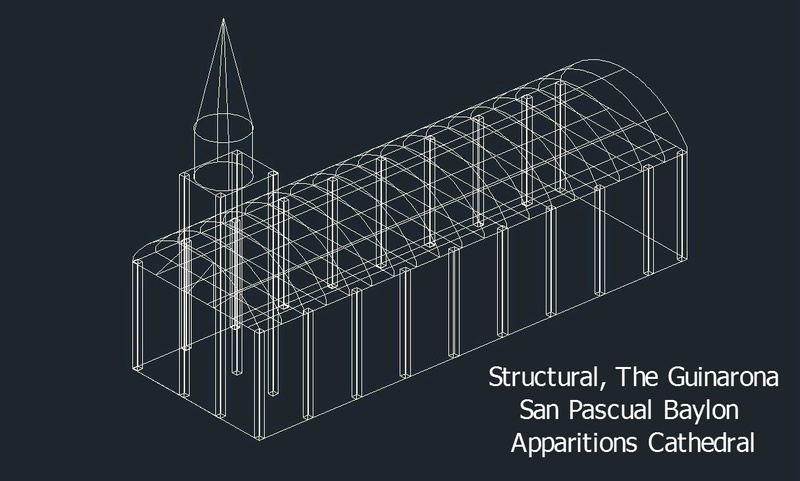 Final Renders, Guinarona San Pascual Baylon Apparitions Cathedral from Benito Maray on Vimeo. 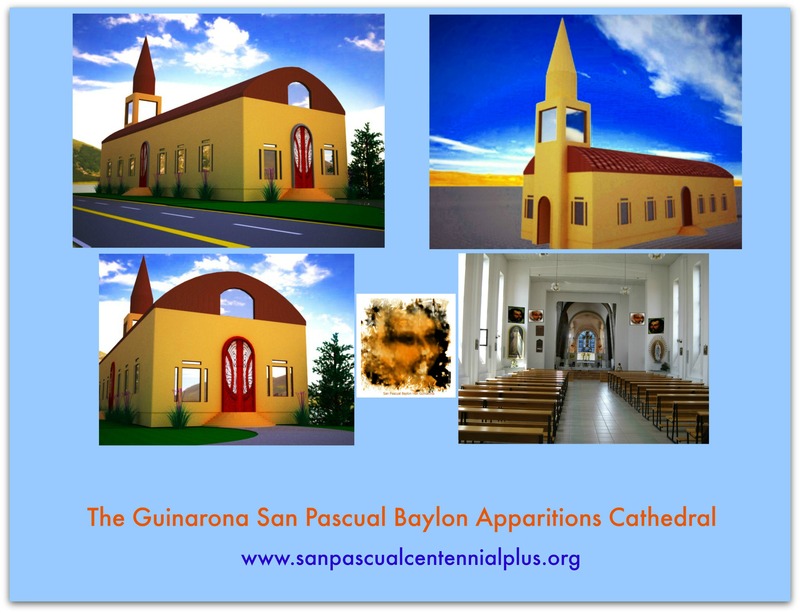 The overall vision for the new Guinarona SPB Apparitions Cathedral is to nurture the spiritual needs of San Pascual devotees, both in Guinarona and all over the world. Man is both body and spirit. Whereas the body needs food, clothing and shelter, the spirit needs feeding of spirit “manna”, which the cathedral will satisfy. Besides, as a pilgrimage destination, Guinarona needs to expand its infrastructures to meet the demands of the times. Any project needs team implementors. Since ours is a world-wide endeavor, please feel free to participate in any of the following teams. As for the fundraising aspect, we are open to pledges and donations in cash or material, such as gravel, cement. Other donors may opt to shoulder the construction of say, Wall A, Wall B, etc. or Pillar A, Pillar B, etc. The cathedral’s roofing is supplied by Steel Master Building Systems. Sponsors and donors may also opt to shoulder portions or lots of the roofing. In closing, may San Pascual Baylon work miracles on everything that you do.